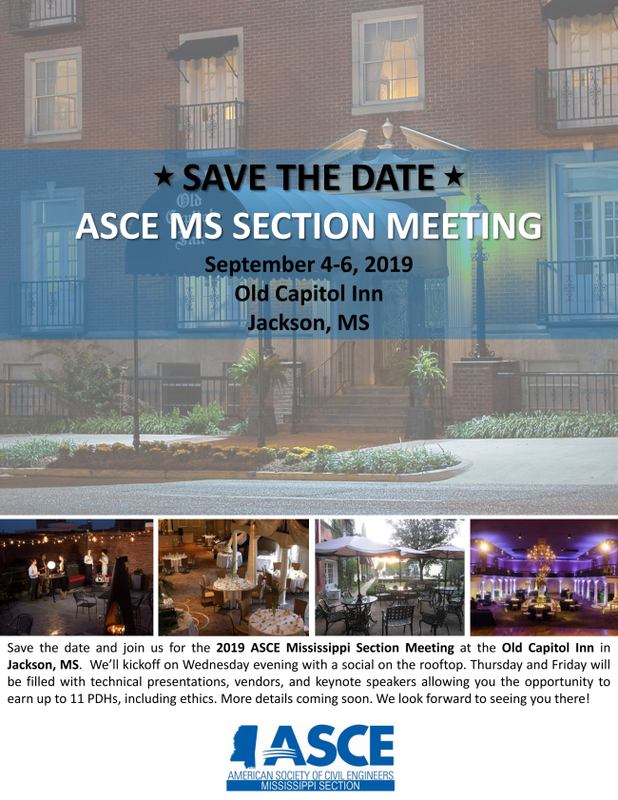 The 2019 ASCE Mississippi Section Meeting will be held on September 4-6 in Jackson, MS. The meeting will take place at the Old Capitol Inn in Jackson. We will kickoff on Wednesday evening with a social on the rooftop. Thursday and Friday will be filled with technical presentations, vendors, and keynote speakers. 11 PDHs, including ethics, are available. More details will be released as the event approaches. Registration is now open. We look forward to seeing you there! 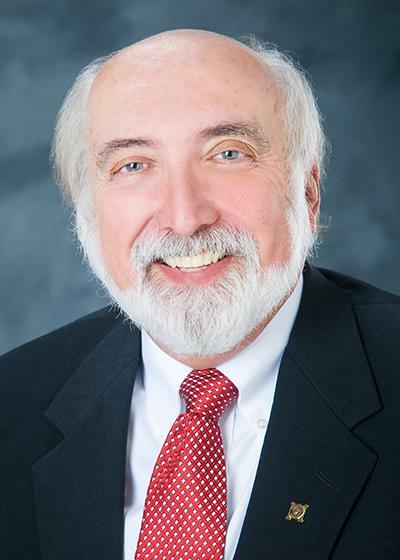 The Mississippi Section of ASCE is excited to announce that our very own Dennis D. Truax has been selected as an official nominee for the 2020 ASCE President-Elect. Dr. Truax serves as the Civil and Environmental Engineering Department Head at Mississippi State University and has a long history of service with ASCE. The Mississippi Section is proud to officially endorse his nomination as 2020 President-Elect. The Society's election will be take place May 1 through June 1 via online voting. Through the support of ASCE and active membership, and the voluntary efforts of elected officers, the Mississippi Section is committed to promoting the growth and advancement of the civil engineering profession in Mississippi, as well as, recognizing individual excellence and leadership. If you are a member, we invite you to take advantage of the information provided through this website. If you are not currently an ASCE member, we encourage you to join now by clicking here. Membership offers numerous advantages and benefits. We also encourage members to consider volunteering to serve the Mississippi Section of ASCE as a section or branch officer and take advantage of the opportunity to showcase and improve your networking, leadership and speaking skills. Contact one of our section officers to find out how to volunteer for service. We look forward to your participation. We are excited to announce ASCE’s new legislative and regulatory information service! Knock your meetings out of the park! Sign on an ASCE Speaker. ASCE’s Speakers Bureau, matches speakers and subject matter experts with those who are looking to utilize one of the Society’s strongest assets – its members’ professional expertise. The Speakers Bureau makes that expertise available through a quality, online program now available as a benefit available only to ASCE members. Check out the Speakers Bureau http://www.asce.org/online-speakers-bureau/.